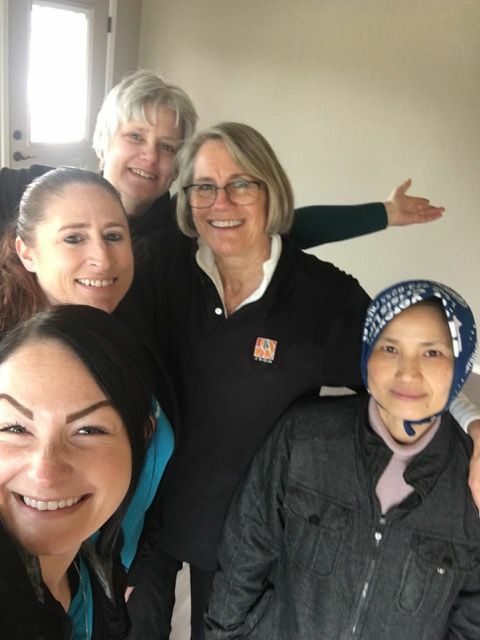 HABITAT FOR HUMANITY Project: A group of five of us joined together to provide the last team in the door for this most recent Habitat for Humanity project! Cindy and Destiny from Merry Maids lead the team with Barb and Janice taking orders. We met Minh, the new owner who was onsite planting trees to complete the landscape in this subdivision home, carefully executed by the Habitat team over the past six months. Paul Thompson is the project leader. We love giving back to our community!